Andouille Pig in a Blanket - kick up ordinary pigs in a blanket with andouille sausage. 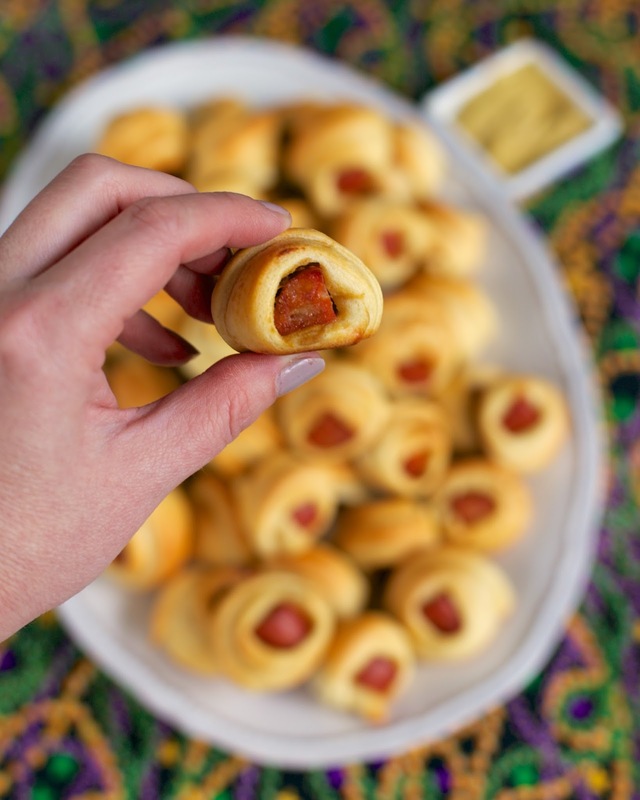 Only 3 ingredients - andouille, mustard and crescent rolls. I love a good pig in a blanket. 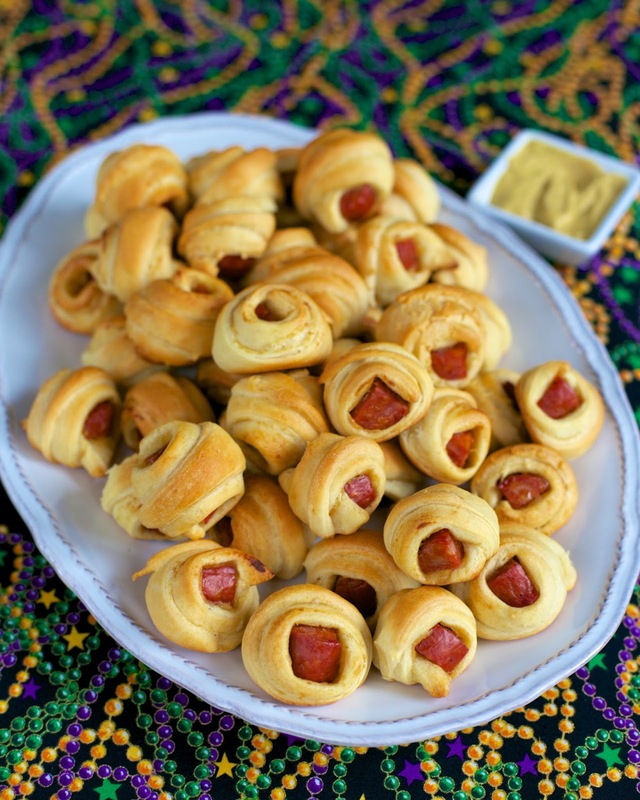 I was brainstorming for Mardi Gras ideas and immediately thought of andouille pigs in a blanket. YUM! These are so easy to make and just as easy to eat. One quick tip to make these even easier to make is to use a pizza cutter to cut the crescent rolls. You can zip right through them. Be warned, these pack a little kick from the andouille sausage. The heat in these pigs in a blanket will all depend on what brand andouille sausage you use. I used Savoie's Hickory Smoked Andouille Sausage. I found it at Publix. We thought it tasted great. These were hard to stop eating! Cut andouille sausage links into 1/2-inch disks. Cut each disk in half, making two half moon shapes. Unroll refrigerated dough; separate into 24 triangles. Spread a heaping teaspoon of Dijon mustard on each triangle. Cut each triangle lengthwise into 3 narrow triangles. Place sausage on wide side of each triangle. Roll up. Place on ungreased cookie sheet. Bake 14 to 17 minutes or until golden brown. Serve with additional mustard, if desired. Being a New Orleans native...so glad to see people all around celebrating our culture and food! Yeah! This is such a great idea! I love pig in a blankets but putting this twist on them is fun.